Japan’s Shinichi Mizuno was declared the winner of the RM225,000 (approximately US$58,000) season-ending PGM Maybank ADT Championship based on his 54-holes scores after tropical thunderstorms forced the final round to be abandoned on Saturday. More than 10 hours of play were lost due to multiple weather disruptions at the season-ending Asian Development Tour this week. That subsequently led to the setting up of marathon final day where all players were expected to return to play at least 27 holes at the Saujana Golf and Country Club. Mizuno was among the 50 players who returned to complete the remaining 13 holes from his third round. After signing for a one-under-par 71 to grab the outright third-round lead, the Japanese took a 20 minutes break before heading straight out to the tee again. He was on the 12th green at 2.30pm before the familiar siren sounds blew again for the suspension of play which later led to the round being abandoned more than two hours later. “It has been a really long day especially mental-wise as I didn’t really know how to prepare myself going into the last round. I’ve never experienced anything like this before. “It’s hard to put into words how I’m feeling now but I’m glad everything just clicked,” said Mizuno, who compiled a three-day total of eight-under-par 208. 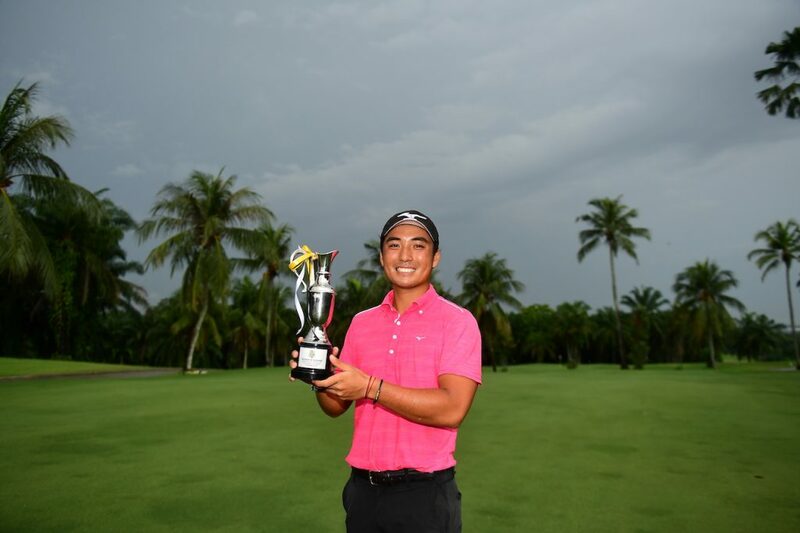 With his win, Mizuno not only broke into the final top-seven ranking on the money list but also earned himself a spot at the Maybank Championship next year where he will have another opportunity to test himself against the world’s best players at the event sanctioned by the Asian Tour and European Tour. Argentina’s Miguel Carballo meanwhile became the first Argentinean to be crowned the ADT Order of Merit champion following a season which saw him lift his first ADT title in Indonesia in August as well as notch eight top-10 finishes and two top-five results on the Asian Tour. “I’m very happy because I’ve played on so many Tours around the world and this is the first time I’ve won something big like the ADT Order of Merit. It’s a big achievement for me,” said Carballo. Carballo was delighted with his success and hopes his achievements on the ADT will be a springboard for more success. “I’m looking forward to playing in more events on the Asian Tour with this Order of Merit win. It’s going to be a huge step-up and I hope I can win on the Asian Tour very soon,” said Carballo. The race to finish inside the top-seven place on the money list also concluded with Carballo, Nitithorn Thippong, Varanyu Rattanaphiboonkij, Han Lee, Janne Kaske, Matthiam Keyser and Mizuno earning their Asian Tour cards for next season.